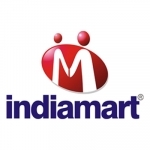 IndiaMART is India's largest online marketplace, connecting buyers with suppliers. The online channel focuses on providing a platform to SMEs, large enterprises as well as individuals. Founded in 1996, the company's mission is - to make doing business easy- . Our Continuous investment towards product, technology, processes and people has made us a premium brand in the Industry. IndiaMART has more than 4 million sellers and 40 million buyers registered on the platform. The company has a strong team of 3500+ employees with 80+ branches across India. We are backed by investors like Intel Capital, Amadeus Capital, WestBridge Capital & Quona Capital. 4. Understand the client's business, industry, competitiveness in the market, and business issues. 5. Meet with clients and potential prospects on regular basis for key account management and cultivating relations of CXO's level. The Role/Position is expected to grow business through individual efforts and take up roles and responsibilities to generate revenue from the brands and agencies across India. The candidate will be responsible for bringing new business on the table as well along with developing long-lasting relationships with the newfound businesses. 6. Exceptional presentation skills, written & verbal communication skills. 7. Strong listening, questioning and networking skills.